DANIEL G. DOWD is a Partner and the President of Cohen Dowd Quigley. For almost three decades, Dan has practiced in the areas of commercial litigation, ADR and contested administrative proceedings, and has repeatedly been selected as one of the top litigators in Arizona. He has been named a Southwest Super Lawyers in every edition of that publication, and has also repeatedly been recognized on Super Lawyer’s list of the Top Fifty attorneys in Arizona. He was named as one of the Top 100 lawyers in Arizona by Arizona Business Magazine, and as one of only four commercial litigators recognized in the annual Arizona Business Leaders publication. The Business Journal has recognized Dan as one of the “Best of the Bar – Litigation” as selected by his peers. Dan is a Fellow of the Litigation Counsel of America, an invitation-only trial lawyer honorary society, the membership of which is limited to 3,500 Fellows, less than one-half of one percent of American lawyers. Dan’s accolades reflect his successes throughout his career. Dan has tried and arbitrated multiple cases. For example, in 2007, Dan and Ron Cohen obtained a $360 million jury verdict after a month-long trial, the second largest ever returned in Arizona and the fourth highest in the United States that year. In 2015, after a two-month bench trial, Dan and his co-counsel obtained a decision finding damages of $288 million in a commercial tort case, which led to a $72 million judgment against the remaining defendants. 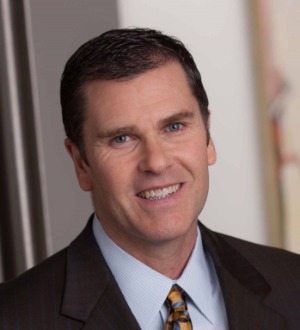 Dan has also successfully litigated cases on behalf of a wide variety of clients, from large multinational corporations to local businesses and individuals, and he has represented the Arizona Board of Regents and the public institutions it governs in over 50 matters ranging from employment to athletics to intellectual property disputes. Dan is also very active in professional organizations, including the American Bar Association (“ABA”) and the National Institute for Trial Advocacy (“NITA”). He has been a member of the senior leadership within the ABA Section of Litigation since 2001, and currently serves as a member of the Section’s governing body, the Council. He is also the Program Director for NITA’s highly acclaimed, multi-day Arizona and Nevada Deposition Skills Programs.